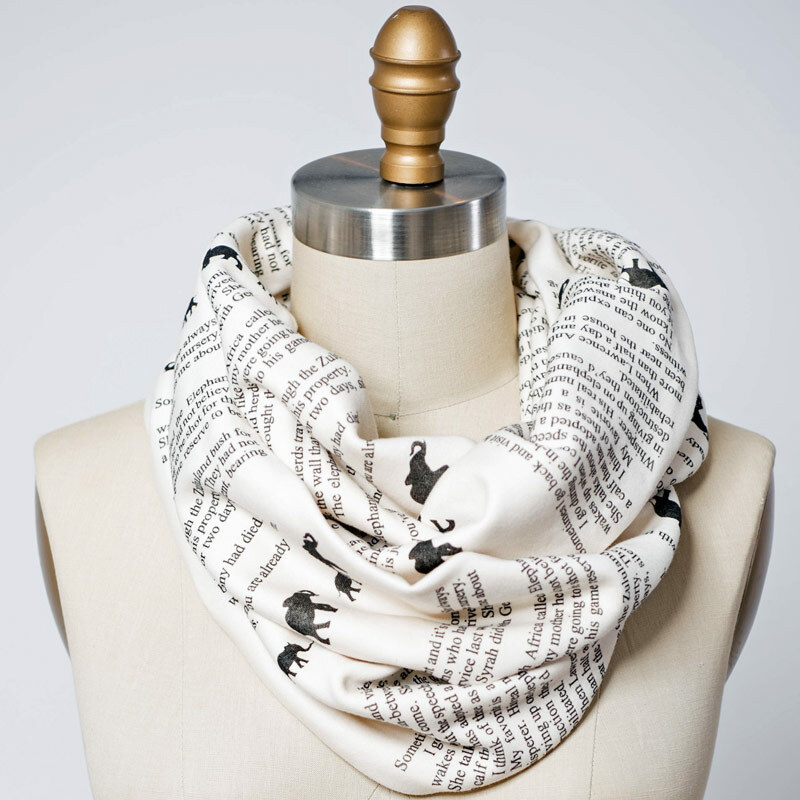 Wrap up with a good Book Scarf! 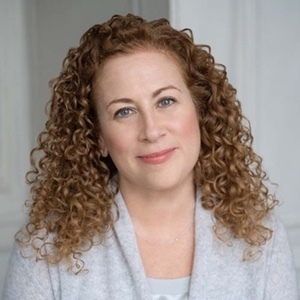 Let everyone know about your great taste in books —wrap a page from one of Jodi Picoult's best-selling novels around your neck! 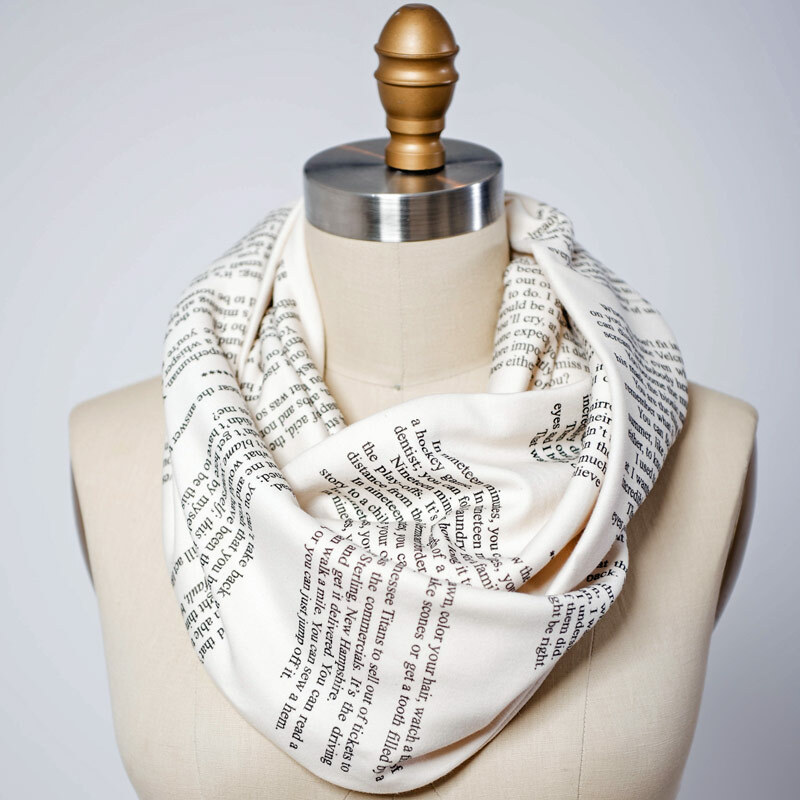 These infinity scarves will keep you looking & feeling both warm & intelligent. 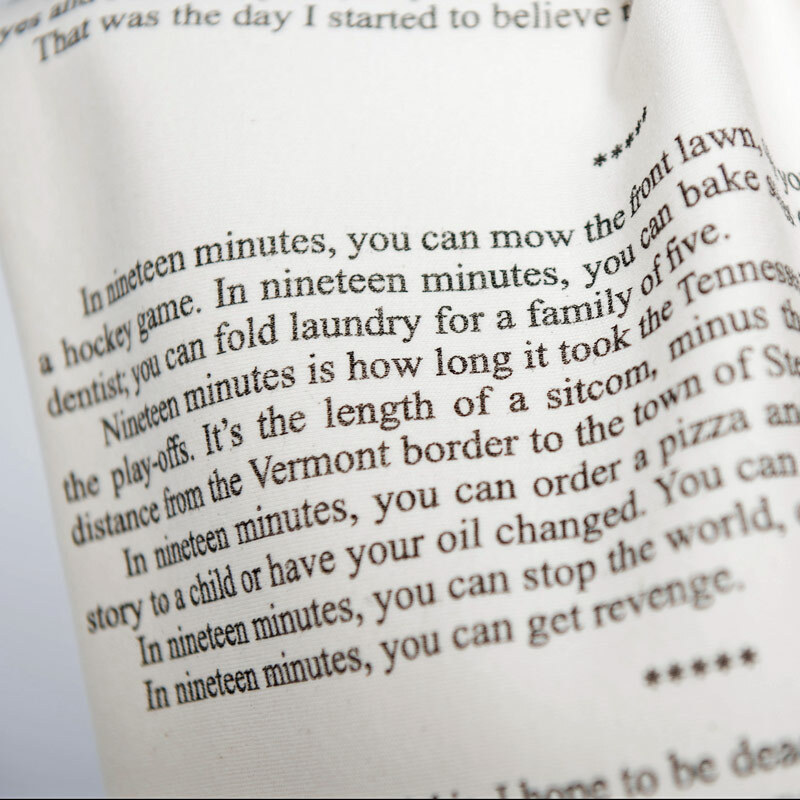 Choose from Leaving Time, Nineteen Minutes, and/or My Sister’s Keeper. You can add multiples of each scarf to your shopping cart… and buy all three scarves if you like! All net proceeds will be donated to charity. Let everyone know about your great taste in books! 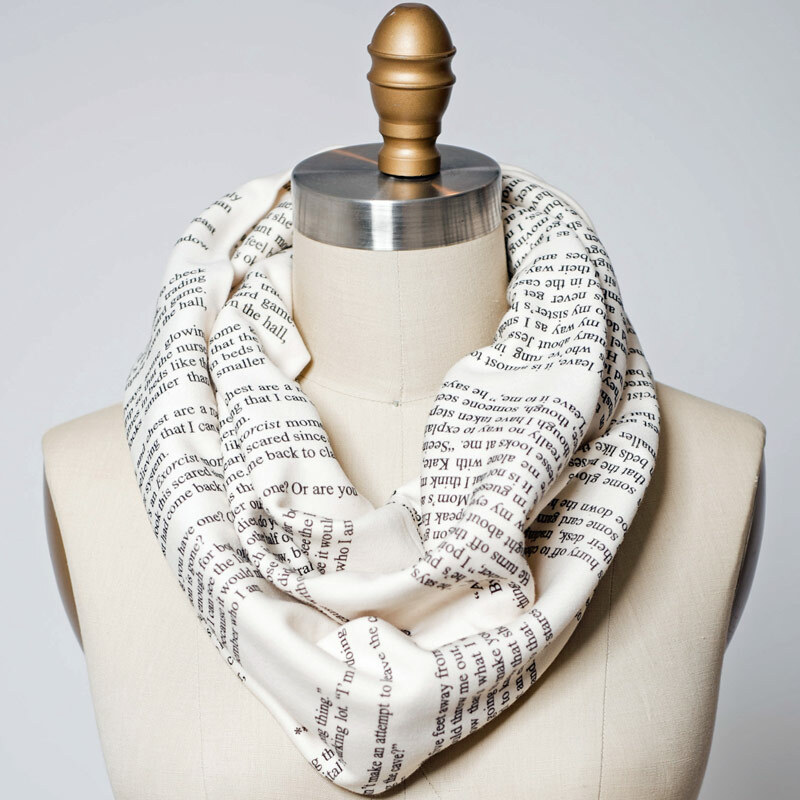 Scarves are printed by hand and therefore there may be variances in the darkness of the text (just like an old book!). This is by design. Each scarf weighs about 8oz. 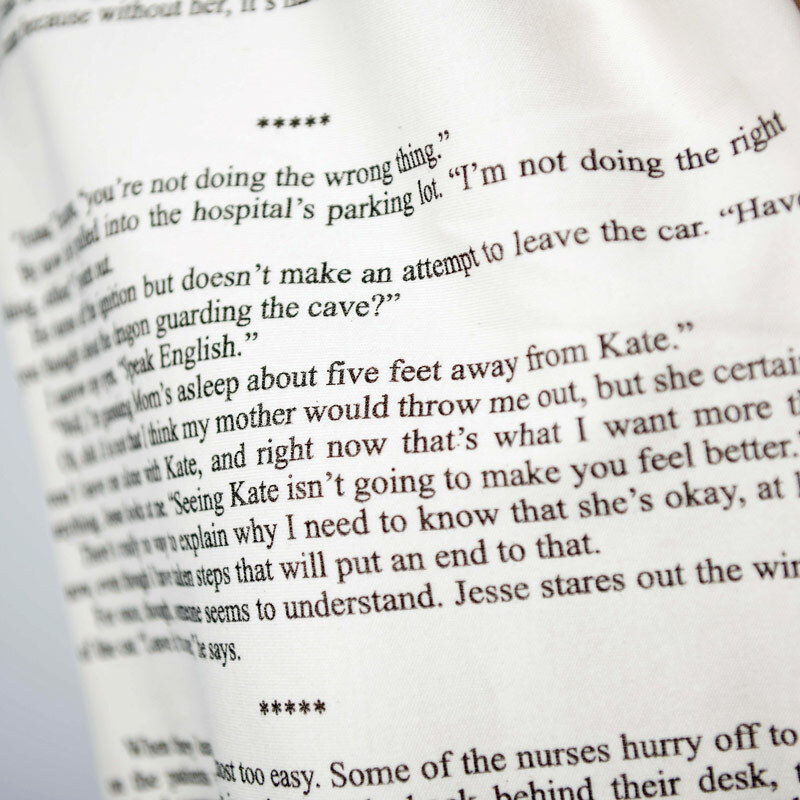 Reference the pictures to read the included novel selection. 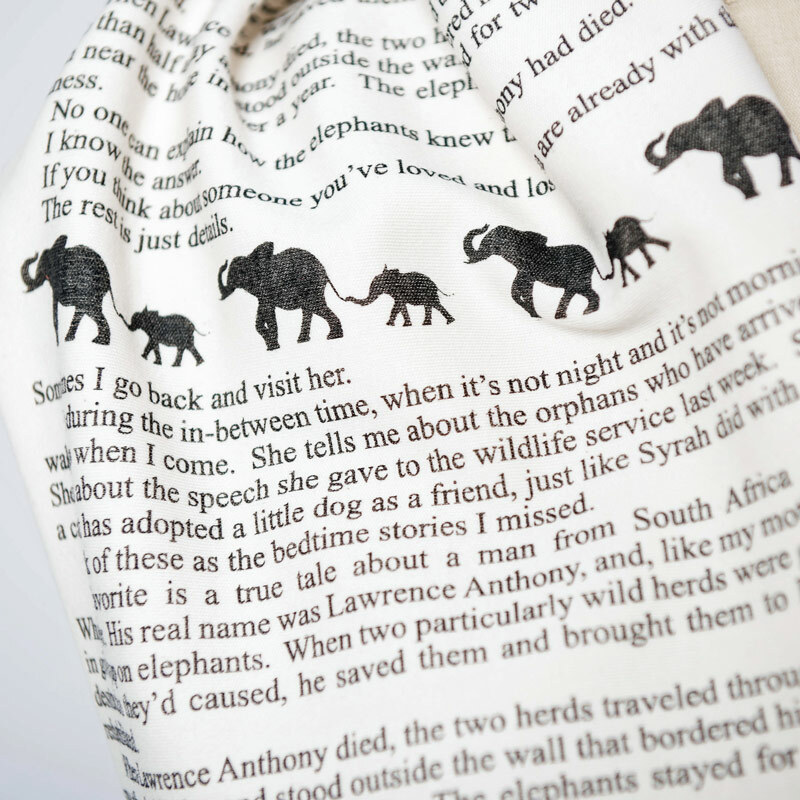 The fabric is of medium weight, similar to a t-shirt.